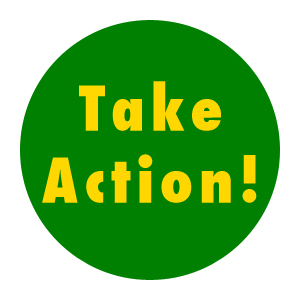 Action Alert (Texas): Raw Milk Bill Stalled in Committee – We Need Your Help! The raw milk bill has gotten stalled in Committee. The Texas Medical Association is lobbying hard to kill it, and they have convinced several Committee members to vote against the bill. We need a flood of phone calls – as soon as possible – from the grassroots to counter them! The raw milk bill (HB 46) will allow licensed farmers to sell raw milk off-the-farm, at farmers’ markets and consumers’ residences. Right now, consumers have to drive all the way to the farm every time they want raw milk. This bill will help raw milk farmers expand their markets, and help raw milk consumers get reasonable access to raw milk. Even if you have called before, please call again! (And if you haven’t yet called, it’s more important than ever to do so). This action alert is very time sensitive; please call as soon as possible this week. Call your State Representative to urge him or her to co-author HB 46, to expand raw milk access in Texas. You can find out who represents you at www.fyi.legis.state.tx.us or by calling the Texas Capitol Switchboard at 512-463-4630. Having more co-authors is very important to show the level of public support. If your Representative is on the Public Health Committee, it is vital that you call – and that you get as many of your friends and neighbors as possible to call! Be sure to mention the fact that you are a constituent when you call. The list of Committee members and the zip codes they represent is on the next page of this alert. More talking points are at the end of this alert. The most important points you can make are the ones that matter to you – the legislators want to know why you care about this issue. You can also see who has already co-authored the bill at the end of the Public Health Committee members list. After you call your own Representative, email all of the Committee members to urge them to vote yes on HB 46. The list of Committee members and their email addresses are below. SPECIAL THANKS to Representative Dan Flynn, the author of HB 46, and his joint and co-authors: Representatives Dennis Bonnen, Jodie Laubenberg, Bill Zedler, Lance Gooden, Bryan Hughes, Phil King, Lyle Larson, George Lavender, Rick Miller, John Otto, Eddie Rodriguez, David Simpson, Steve Toth, Mike Villareal, and James White. And thank you to each of you, for taking the time to speak up for our farmers and our food. We do not have the money the other side has. Instead, we have real people who care about our food system. Thank you! Under current law, farmers can legally sell raw milk in Texas directly to consumers under a Grade A Raw for Retail license. Texas Grade A Raw for Retail dairies are subject to regulations that meet or exceed all regulatory standards for pasteurized milk. Agency regulations limit the sales to “the point of production, i.e., at the farm.” This marketing restriction burdens both farmers and consumers. Farmers who invest significant resources to become licensed face unfair limitations. Consumers who want unprocessed food must expend significant time, gas, and money on long weekly drives. Texas raw milk farmers have an excellent safety record. CDC data from 1998-2008 show that there were only two reported illnesses attributed to raw milk in Texas during that time. Since 2008, there have been 4 additional illnesses allegedly linked to raw milk, for a total of 6 illnesses in 15 years. Approximately 12,500 foodborne illnesses were reported in Texas between 1998 and 2010, traced to such foods as mangos, cake, beans, lettuce salads, salsa, pot pie, chicken salad, hot dogs, deli meats, and beef brisket. Raw milk has a better safety record in Texas than many foods, including strawberries (29 illnesses), chicken soup (47 illnesses), and turkey (852 illnesses). The bill does only one thing: removes the on-farm restriction on the sale of Grade A raw milk. The bill makes no other change to the existing regulatory requirements for licensed raw milk producers that have been successful in protecting the public’s health in Texas. Sales will continue to be limited to direct-to-consumer transactions, as they are currently. The bill will not allow sales of raw milk in grocery stores. Improves the safety of raw dairy by allowing producers to transport it to consumers under safe conditions, rather than relying on consumers to remember to take coolers and ice. By allowing a producer to make a single trip to serve multiple customers, rather than having each customer drive to the farm, the bill reduces vehicle miles, benefiting air quality, traffic congestion, and public safety. Benefits rural economies because direct farm-to-consumer sales of raw milk can mean the difference between a net loss on the farm and a reasonable income for the farm family.